Islamic Countries have united in anger against ISIS’ execution of a Jordanian pilot locked in a cage and set ablaze. ISIS’ miscalculation is an opportunity for the West, the United States in particular, to craft a plan which involves all players in the Region, including Syria which incidentally has one-third of its territory occupied by ISIS. 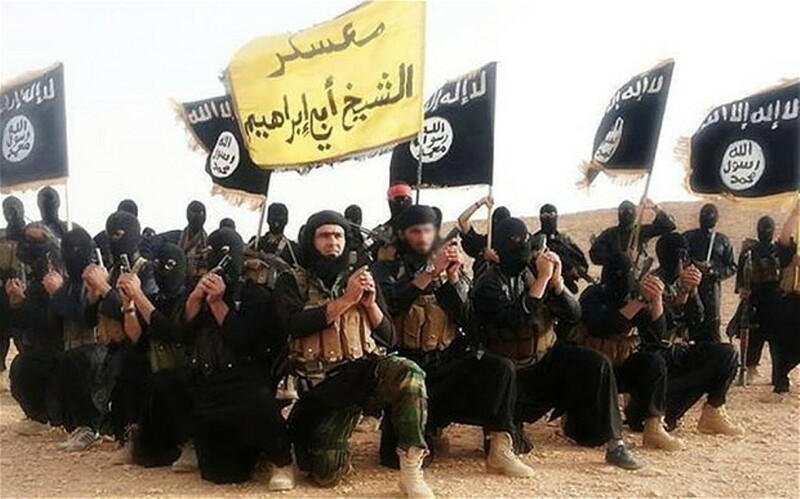 Thus far, ISIS has eluded Superpowers, won support from around the world including here in the United States and obtained strategic and combat equipment support from various governments in the region. Its main areas of operation (and headquarter if one exists) have been in Syria and in the borders of countries with Syria, mainly Iraq. United States, UK, France have been bombing those areas since June 2014. Despite claims by President Obama in the State of the Union Address that progress to defeat ISIS is on course ISIS has been active and defiant. According to Richard Engel, NBC News’s chief foreign correspondent, President Obama’s claims of progress on defeating ISIS are false. Richard is right; ISIS has not backed away; if anything, it has become more dangerous, more forceful, more demanding. However, its latest act of setting the Jordanian pilot on fire has done just the opposite what the group expected; instead of rallying support from fanatics in the region, even its closest sympathizers are outraged. Jordan’s King Abdullah II who was in Washington at the time the video (of the pilot set ablaze) was aired, promised to execute two convicted terrorists connected to the Islamic State (ISIS ) in retaliation; and he did very swiftly. His action received widespread approval in Jordan; on his return back home, he was received as a King (no pun intended); crowds lined up his route from the airport to cheer his decision and welcome him back home. Even Syria’s government which has been silent during most of the beheadings (by ISIS) has voiced its outrage. If the West fails to seize that opportunity to decimate ISIS, it could become catastrophic for the region, for the world perhaps. The outrage in the Arab World is a setback ISIS can easily recover from. To judge by its crafty PR, it should not be surprising ISIS would probably make amends for an act that’s widely condemned; such PR move could rally future support and prompt more fanatics to join and supporters to defend ISIS. It is the West opportunity (perhaps the only one) to join the Arab nations in their outrage against ISIS and coordinate effort to put a decisive end to a movement that’s deadly. The aerial bombing strategy has been ineffective; it’s time to bring all the players in the Region together to discuss coordination and high level strategy to crush ISIS. Failure to act quickly would spur and encourage other groups to spring up and follow ISIS’ approach, techniques and strategies. ISIS is a movement that’s widely unpopular among the core Islamic population; much like the mafia ruled neighborhoods and some cities through fear and intimation here in the United States in the early part of the 20th century, ISIS, armed with weapons and technology, is deadly and resorts to intimidation to force compliance among the civilians; it uses barbaric methods to instill fears in civilian population just like the mafia did in America. The West and all Arab nations must deal with the problem now, put an end to that movement quickly before it becomes a serious threat to the world, perhaps something worse than Adolf Hitler’s ambition to rule the world with an iron fist. The Jordanian King has already set the tone for swift action; “talk is cheap” we say here in America. It is indeed so, especially in the ISIS case. It is time to put an end to a “small problem” which may become impossible to control later if not contained quickly today.